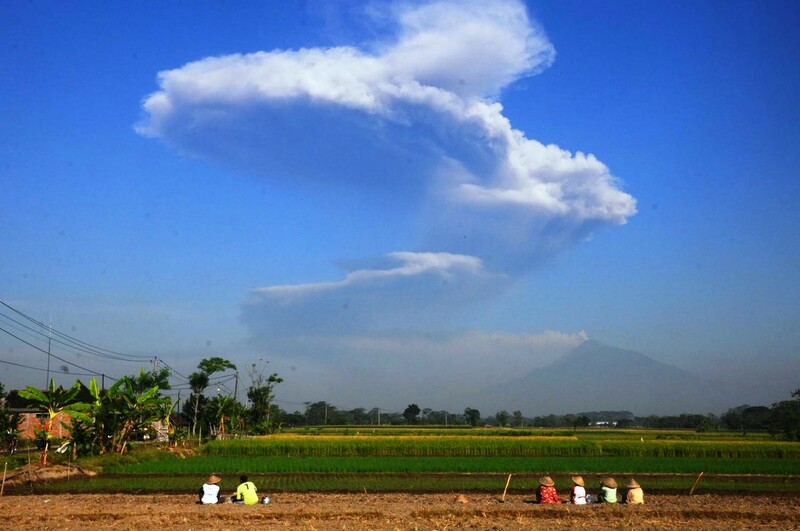 Mount Merapi in Central Java experienced on Friday what disaster mitigation officials called a phreatic eruption, a phenomenon caused by the heating and expansion of groundwater. The Sleman Regional Disaster Mitigation Agency (BPBD) in Yogyakarta has instructed residents and visitors within a 5-kilometer radius of Merapi to evacuate the area. The phreatic eruption occurred at 7:32 a.m. on Friday, spewing volcanic ash into the sky, according to National Disaster Mitigation Agency (BNPB) spokesman Sutopo Purwo Nugroho. Disaster mitigation officials have yet to comment on injuries and damages caused by the eruption, which may affect residents in two provinces, Yogyakarta and Central Java. "We are calling on residents to remain calm," Sutopo said. The Volcanology and Geological Disaster Mitigation Center (PVMBG) assured that Merapi’s status remains "normal", and that the agency would continue to monitor the eruption, Sutopo said.